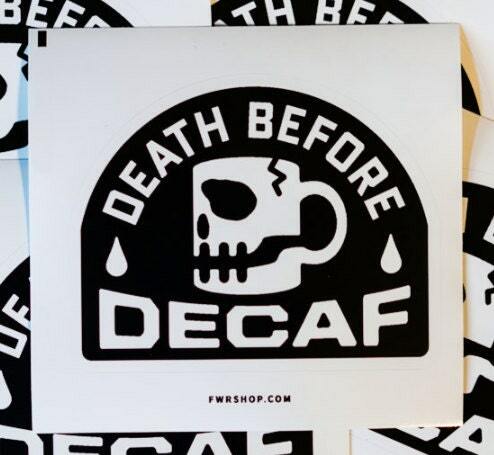 "Death Before Decaf" sticker (one sticker) design by Fun With Robots to add to a mug order. This is ONE kiss-cut stickers. 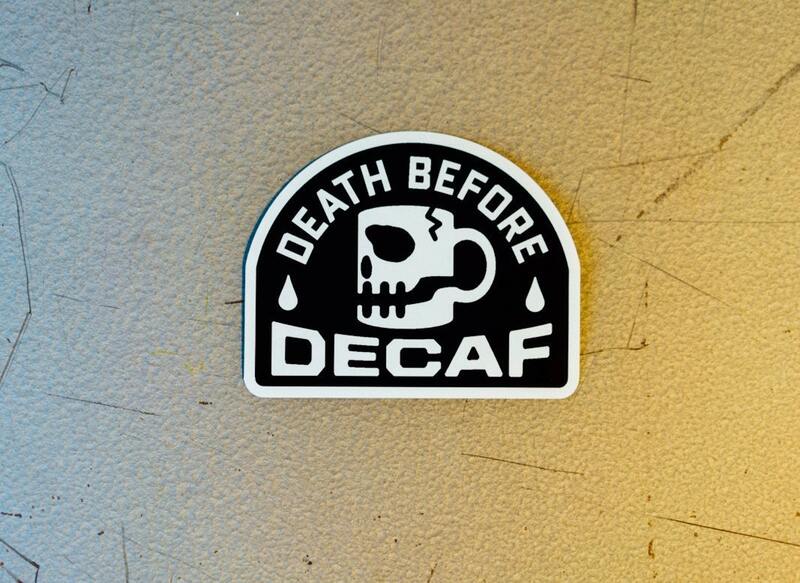 (They come on a peel-off larger sticker). Black ink on white vinyl, because that's the most brutal. 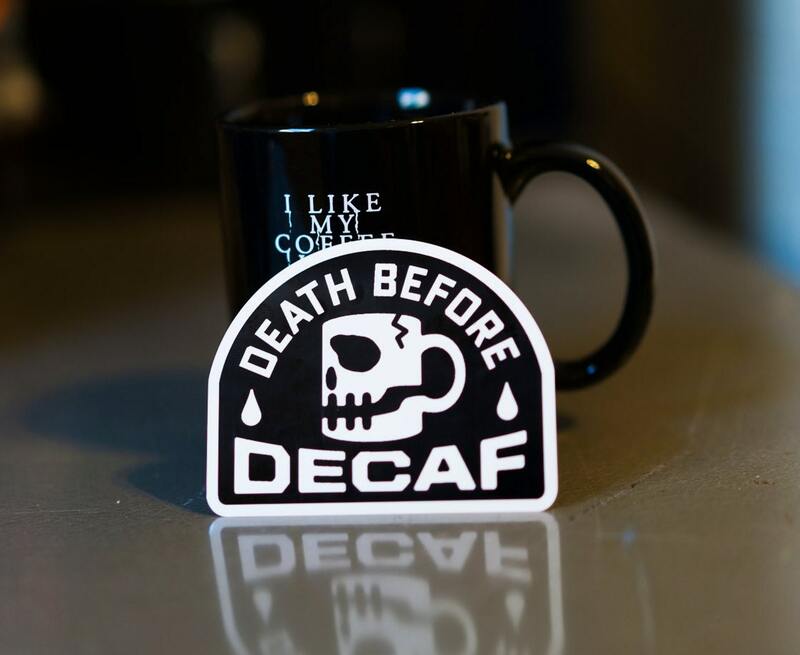 This sticker is weather proof so you can put it on your car or tag it on solid objects to decare your distain for decaf coffee.